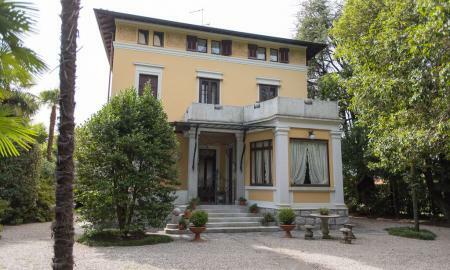 On the Piedmont shore of Lake Maggiore, at the gates of Lesa, a typical small lake suburb, we´re proposing a charming Villa of the early twentieth century, placed inside a large flat park of about 2,800 m² with tall trees and ornamental plants typical of the area. The Villa was completely renovated in the early '80s with the total renovation of all the architectural elements keeping the precious materials of the period: from the floors to the wooden and worked glass doors, to the windows, to the frescoed ceilings, to the stone staircase with wrought iron handrail. In 2014 the alarm system was revised and the electrical system renewed. The Villa has always been kept in perfect conditions and it is still inhabited today. Martin and Co present a large development plot with planning permission already granted for a detached property in a sought after location close to the River Thames. An investment opportunity not to be overlooked. 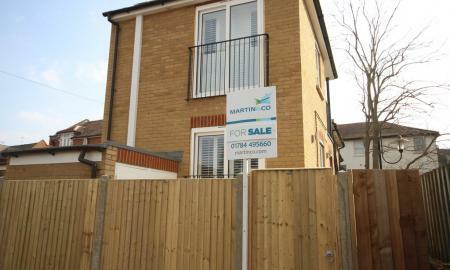 This three bedroom house is situated within a modern development, ideally located for all local amenities, short distance from The Hythe Health Centre, Hythe Primary and Magna Carta schools.. Also convenient for Staines town centre, train station and Riverside. . 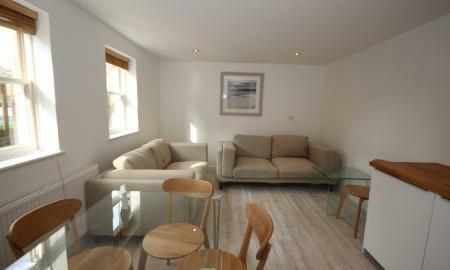 The property benefits from two spacious double bedrooms, master with en suite. Modern fitted kitchen/diner with integrated appliances, downstairs cloak room. 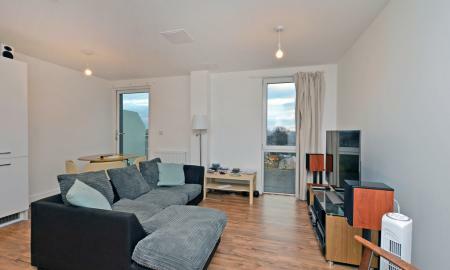 Spacious living room with patio doors leading to decking area and private rear garden. Other benefits include off road parking for two cars. 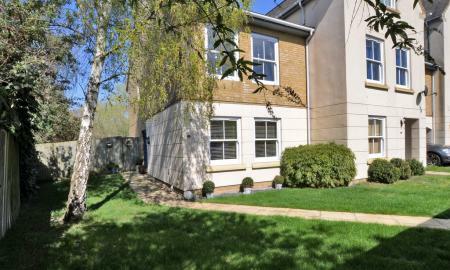 A stunning apartment located in the heart of Staines-upon-Thames offering direct views of the River Thames. This modern apartment, built in 2014 has all the modern conveniences most people desire. From floor to ceiling windows throughout, open plan living to modern bathrooms suites, the property will not leave you wanting. The apartment has secure controlled access at entry as well as the underground car park with 2 parking spaces, all located within a stones throw from the ever popular Staines town centre with it's littering of shops and restaurants. Viewings are highly recommended. Please call your local Martin and Co office to book your appointment. 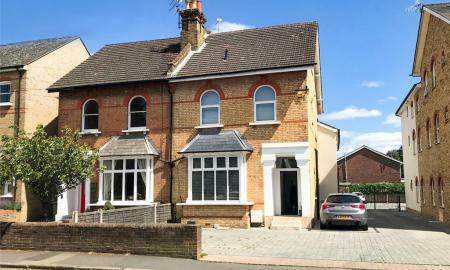 NEWLY REFURBISHED 3-BEDROOM maisonette, part of a small development of apartments, finished to a high standard, near Egham High Street and the station with links to London. The property has 3 large double bedrooms, ensuite, family bathroom, large living room, under stairs storage and off-street parking bay. 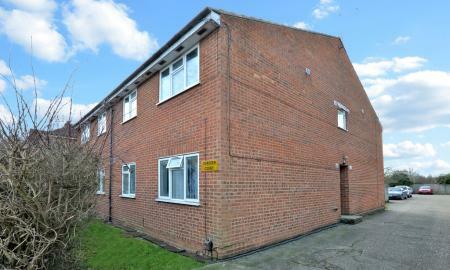 The property would be suitable for investors and first time buyers due to it's proximity to the station and town centre. Please contact your local Martin and Co office to book your appointment. HIGH SPECIFICATION 1-BEDROOM ground floor apartment in the heart of Egham Town Centre, short distance to Egham station, also near Royal Holloway College. 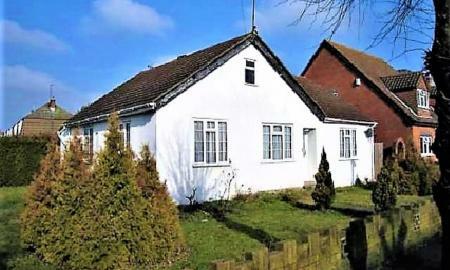 The property is has a fully equipped kitchen, gas central heating and outdoors storage. The living room has a kitchen and dining area. There is a separate bathroom and bedroom. Viewings highly recommended.